Every mother deserves to be pampered on Mother's Day...It's that special time of year to really say thank you to your mum. At RPR haircare we have a great range of gift ideas so why not pamper her with the ultimate professional hair spa gift pack. It's the perfect gift for mothers who love their hair - and an even better present for mothers that don't! The gorgeous silver gift pack is filled with a blissful RPR shampoo and conditioner, a marvelous treatment and a gorgeous styling product, there is a pack designed to suit every mother's hair type. So whether your mum is Mrs need to Fix My Frizz, Mrs need to Brighten My Blonde or Mrs need to Pump Up My Volume RPR has the perfect solution for every mothers need. This beautiful gift wrapped duo pack includes a 300ml sized Shampoo and Conditioner designed specifically for a variety of hair needs. They are ideal to keep hair in peak condition between salon visits, and great value for money! Blissful ingredients like extracts of champagne grapes, aloe vera, green tea, lime, almond milk, summer berries and ginger citron are infused into RPR's products, to rejuvenate the senses and pamper the hair. Give the gift of great hair this Mothers Day and turn your mum into Mrs so hot right! Used and recommended by hairdressers, Australian made and owned, not tested on animals and respectful of the environment with easily recyclable packaging, Look gorgeous. Be renewed. Indulge often. You deserve to be pampered by RPR. 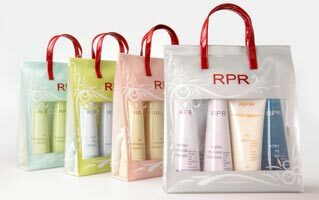 RPR is available at Price Attack, Hairhouse Warehouse, Petra Hair Care and selected salons nationally.